Now packaged in a neoprene cuddler for portability & protection. 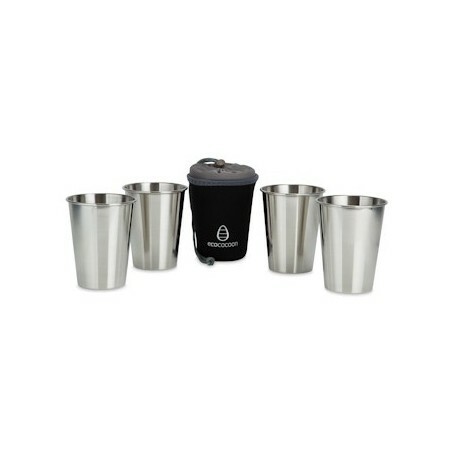 Ecococoon's stainless steel cup range harks back to the stainless steel cups of yesteryear. Safe, reusable and fun! Ecococoon's stainless steel cup range harks back to the stainless steel cups of yesteryear. Safe, reusable and fun! Great alternative to single use or short use plastic cups. 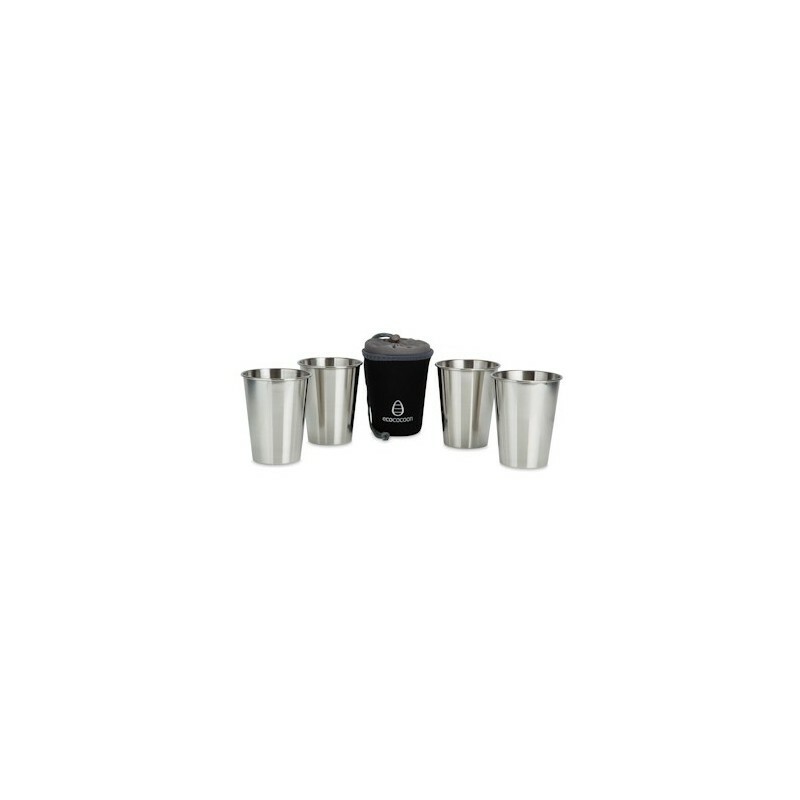 4 cups made from 18/8 or 304 high quality food safe stainless steel. Packaged in a neoprene cuddler with drawstring for portability & protection. Dry cups well before stacking. Avoid stacking tightly as they will be difficult to pull apart. Dishwasher safe. Please note that these sets currently come with a sapphire blue cover. They’re quite small, but perfect for children and adults alike. They mark easily and had plastic over each cup which I thought was a bummer. But still great cups. A great option for little ones and for picnics/camping. I love these Ecococoon cups so much I bought three of these sets! Plus I have several individual cups with images etched onto them. They are great to drink from, they are much better than glass or plastic and will go into the dishwasher. Highly recommended!